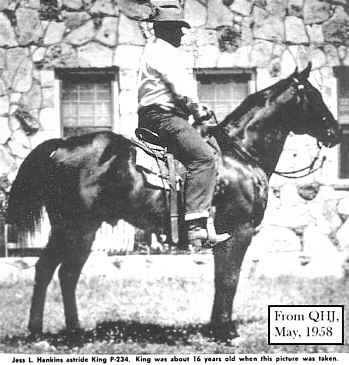 CONTRIBUTION TO THE QUARTER HORSE BREED IS STILL FELT DAILY. AFTER 32 YEARS HE IS STILL RANKED THE THIRD LEADING SIRE OF CHAMPIONS. HIS GRAND AND GREAT GRAND GET CONTINUE TO BE SUPERIOR PERFORMERS AND MONEY EARNERS IN THE NCHA, NRHA, NRCHA, AND AQHA. 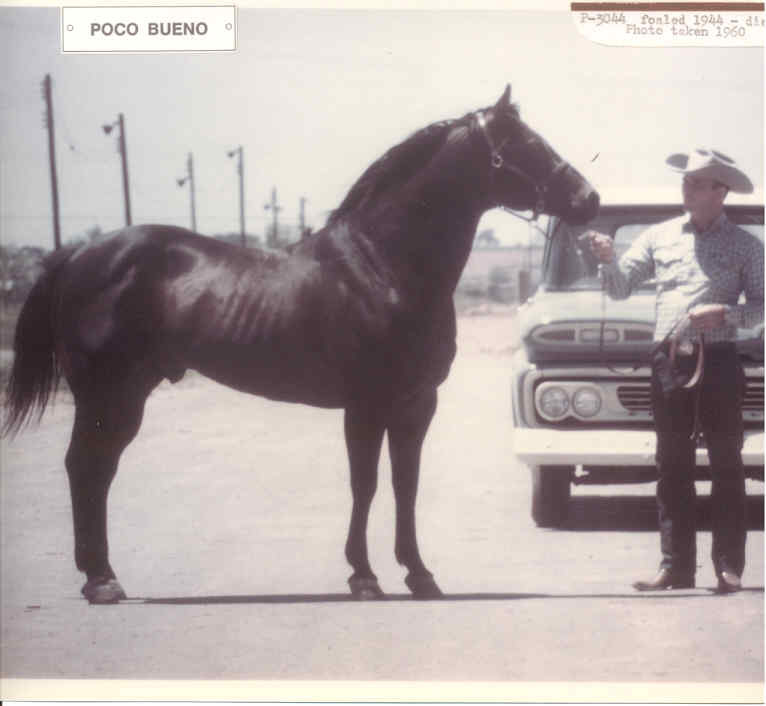 POCO BUENO, HIS SIRE, KING, HIS SON POCO TIVIO, & HIS DAUGHTER POCO LENA HAVE PRODUCED MORE COWHORSE MONEY EARNING GET AND GRAND GET THAN ANY OTHER BLOODLINE IN THE HISTORY OF THE QUARTER HORSE BREED. LEGEND ISNT QUITE ENOUGH TO SUM UP HIS DYNASTY!